Showing results for tags 'Shipwrecked'. In shipwrecked its incredibly easy to have your entire base destroyed with seasons happening while you are in different merged so if you jump from hamlet to shipwrecked the volcano could be about to blow with no warning. It would be really neat if the rainometer help visually predict the volcano eruption. Maybe it only predicts when its in the last danger run level in a little meteor symbol on the meter. It would both make it useful and help combat the extreme damage that the season can do. Other expansion have ways to combat there bad season, flingos in summer and reset the aporkalype to keep you base safe. In SW any base is suject to totaly destruction since the snackrifce is relog buggy and the warning do not always work. Hi! Just posted a thread for you to share the crazy things you've come up with after merged crafting and civilization became a thing. I'm a pretty basic player, and i have yet lots to see, so i got nothing to share. Side note, any way to retrofit hamlet compatibility? With Hamlet's development I can't help but notice some SW disconnect in some aspects on how SW stands as a dlc in single player atm. - SW doesn't even have a Suggestions and Feedback section, ergo why I'm posting here... Sorry guys - Pls add green, yellow, orange gems and Thulecite to the Trawl Net loot in deep waters as you added rare gems and Thulecite in Smashing Pots in Hamlet. This would make some rare materials renewable in an exclusive way for the single player experience outside of via teleportato or cheese manually deleting the caves. All this considering you cannot reset caves in RoG atm. - Slot Machine could also include rare gems and thulecite loot. Again a cool and unique way of renewing rare loot. Specially after the infamous nerf which makes the Slot Machine unfun and kinda useless. 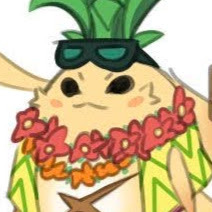 - There is a disconnection between the SW items you can buy in Hamlet (coconuts, bamboo, etc) vs the non existent exclusive SW items that you can sell in Hamlet. 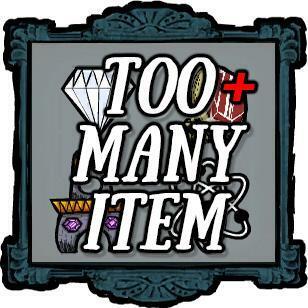 Pls allow us to sell doydoy feathers, shark gills, obsidian and other SW items - Oddities loot doesn't have a single boss exclusive to SW.. Only RoG bosses... Feelsignoredman T_T - there aren't any SW exclusive hats sold in the Hat shop. Seeing a pattern here.. - There is no monetary conversion in place between Hamlet with oincs and SW with doubloons. All need to translate to gold first which is a huge devalue for both dobloons and oincs in a SW economy. - pls add a Naval Store with cannons, boat lamps, and other relevant items. I was playing on my Hamlet/SW/RoG combined world the other day and I had a suggestion I'd like to put forth in regards to one of the items. Specifically the Thulecite Medallion, which is an item from Reign of Giants which tells the player which section of the ruins cycle they are currently in (ie calm, warning, active, etc.). One of the more annoying things with Hamlet is keeping up with the Aporkalypse, and while 60 days is more than enough time in between, it would still be handy if there was some sort of external indicator item that could be carried around and examined. I think the Thulecite Medallion would work perfect for this, and it'd give it some actual purpose in the game besides pointing out the obvious in the ruins.The balance would be that it can only be crafted in RoG, meaning it'd require world hopping to bring into a Hamlet world, making it relatively challenging to obtain, but actually useful once acquired. While it's more of a stretch it'd also be helpful if it could be used to indicate how soon the next eruption in SW is, although how this would be implemented I do not know.The different stages could be used as an indicator of days left. When "new lands" to discover were promised in the 2019 roadmap I immediately thought of Shipwrecked content getting added to the game. And although I don't think something that drastic would happen, I think it may be a good idea to add a large Archipelego biome to DST. Perhaps an encircled cove or a lake instead of open seas to keep the "you're stuck without escape" theme. First there would be a beach biome at its enterence where the altitude falls to the shipwrecked's sea level where players would have direct access to the sea but not able to navigate in it without a boat. Maybe there can be unremovable big rock/bazalt setpieces where you'd be able to place "Docks" community project like Portal Paraphernalia that requires boards and ropes, perhaps 20 Boards, 6 Ropes and one coompass. There you'd have access to the Nautical tab and would be able to make boats to navigate the lake, to go to the islands of the archipelego inside the lake. Islands shouldn't be very isolated for balanxe so perhaps hounds and bosses would be able to cross the sea. 3-4 small to medium sized islands could make a good total archipelego biome imo. It may generate hidden treasures, perhaps have it's unique seasons from shipwrecked, corresponding to normal seasons in land, sand mechanics and other stuff currently exclusive to the Shipwrecked DLC. Overall it wouldn't be adding the whole Shipwrecked DLC to DST, which I don't see happening, but a small tid bit of the content can be given in the form of a new biome or three, both promoting the Shipwrecked DLC and potentially opening way for Shipwrecked characters like Wallani to be introduced to the game. Hi, Steam (Original Creator): http://steamcommunity.com/sharedfiles/filedetails/?id=579513934&searchtext= And here is the Hamlet Version: https://steamcommunity.com/sharedfiles/filedetails/?id=1628327336 Thank you pdr for the help!!! ^^ Codes by C.J.B. Items and bug fix by GaRAnTuLA. DST version by Skull. 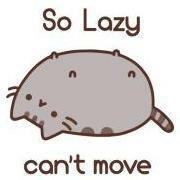 DS version by Soo. Hamlet Update by Chris. Icon fix by pdr. Allows you to spawn any item you want. Press (T) to open spawn menu. Left Click to spawn 1 item. Right Click to spawn 10 items. Toggle Button and spawn num are Configurable This is a work in progress, of course... I'm new to modding so if You want to help me understand more and maybe even fix something about this I'll highly appreciate it. 3d art New sculpt of new hero! Hi there! This is my first finished work (and the cutest, maybe :D) Walani from Shipwrecked, in her classic skin. But i really want to make some experiments with character's style ( Walani and other). What i spent: a lot polymer clay and 2-3 sleepless nights ...and what i get, you can see in the pictures And of course i'll wait your questions and opinions, guys! ¡¡Nuevo!! : Como respuesta a uno de mis comentarios en los foros oficiales de Klei se han incluido las líneas faltantes que no estaban en el archivo base. Estaré traduciendo las líneas faltantes dentro de poco. ¿Qué incluye este mod? 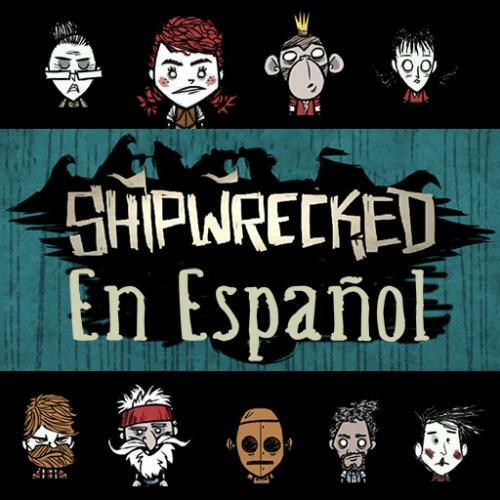 Menús de Shipwrecked completamente traducidos al Español. Traduccion completa de Don't Starve y Don't Starve Reign of Giants corregida y actualizada basada en el trabajo de Nohemí. Los siguientes personajes tienen sus líneas completas de SW en español: Wilson, Willow, WX-78, Woodie, Woodlegs, Warly (germanware), Wigfrid (nuevo) Wilson Willow WX-78 Warly (gracias a germanware) Woodie Woodlegs Wigfrid Traducciones parciales: Wickerbottom Personajes mudos que puedes jugar, puesto que los menús están traducidos totalmente. Wes Wilbur (SW) También puedes descargarlo en Steam: http://steamcommunity.com/sharedfiles/filedetails/?id=692498839 Quiero agradecer a Nohemí por su trabajo de RoG y Vanilla que he tomado de base en esta traducción y que he modificado y corregido aquí. Su sentido del humor me ha inspirado notablemente (Cabras de Alta Tensión: lol). También agradecer a germanware por sus líneas de Warly. Sígueme en: Youtube: https://www.youtube.com/channel/UCDDA7LiTTnTHJ3PLxumvRSw Nueva serie con Woodlegs Twitter : https://twitter.com/FreyaMaluk Twitch: http://www.twitch.tv/freyamaluk Email: freya.maluk@gmail.com Instalacion: Descarga 7zip para poder descomprimirlo. - Descarga el archivo. 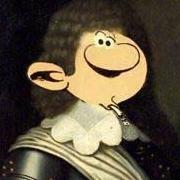 - Extrae el mod en la siguiente dirección: C:\Steam\steamapps\common\dont_starve\mods - Abre el juego y entra al menú "Mods" en el menú principal. - Busca el mod y actívalo manualmente. - Clickea aplicar y ¡listo! Si alguien desea unirse a este esfuerzo, le estaría agradecida. Además de las líneas de diálogo restantes, hay algunas cosas que aún faltan desde la parte logística (el ícono, por ejemplo) Nota de traducción con respecto al tono: He decidido darle un tinte distintivo al personaje de Woodlegs. Su jerga tiene una mezcla de acentos costeros y peninsulares. También he prescindido de incluir terminología que no corresponde a su sociolecto y a su provenencia. Estoy abierta a sugerencias para mejorar la traducción en este punto, pero considere primero que ha sido una decisión basada en el contexto geográfico del juego y del propio origen de Woodlegs. Estaré muy atenta a sus comentarios y sugerencias. 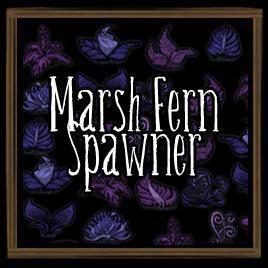 Ferns will spawn in marshes when it rains, like flowers. Required RoG (due to rain). Works in SW worlds too! When the Forge first came out, I watched a Volx stream in the middle of a library where everybody was wondering where the wifi went. Then when I first noticed the pigs in the crowd I spazzed out in the chat with a very large and incomplete lore theory. This was met with much "shut up, that theory is just plain stupid". Then I got around to buying SW and noticed the pigs in that to, and then finished the theory. STUPID THEORY TIME In vanilla DS, ROG and all forms of DST, the three games confirmed to be canon, there is some variation on the pigmans or merms, the inhabitants of the constant. However, all the non-confirmed canon games (SW and Hamlet) also share this element, but with a small twist. Thousands of people per day screaming "ADD SW TO DST". Now, anybody in there right minds would just tell them that SW isn't canon, and if they could please stop bugging them, it's pretty annoying. But Klei hasn't done that, despite the utter confusion (and annoying posts) surrounding SW. Same for Hamlet. What I'm saying is that SW and Hamlet are just some other worlds in the portal, like the ones that Punga refers to in his monologue. This could (maybe) mean one of two things: 1: Klei are incredibly cruel, and just want to torture us. or 2: Hamlet and SW are canon, they're just withholding the information. Do please not this is just a stupid theory, so if it turns out to be incorrect please don't murder me in cold blood, I have a family. 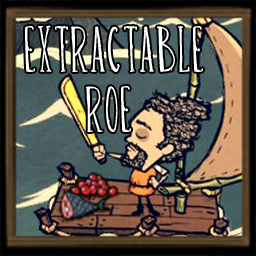 Open that Fish, and Extract that Roe! Notes: Use the Obsidian-Golden-Machete on Tropical-Fish to get 1 Roe & 1 Raw Fish. (The Same Method Used to Open Coconuts) No need to wait for Cormorants Anymore! Craft the Trident, and Conquer the Seas! Notes: Damage: 34. Durability: Has 150 Uses. Perk : Does triple damage (102) while the player is on Boat. Crafting Recipe: 8 Gold Nuggets - 2 Blue Gems - 4 Nightmare Fuel Because Some Times The World Isn't Generous Enough! Now you Can Farm Snake Skins Like a Maniac! 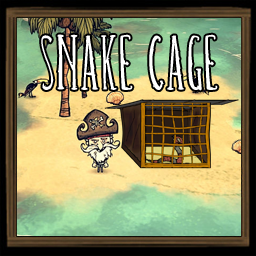 Notes: - Now you can Build a Snake Cage. - Will provide 1 Snake Skin every 1 In-Game Day (3 Skins Maximum). - Every Harvest will Decrease the Player's Sanity by 10 Points. 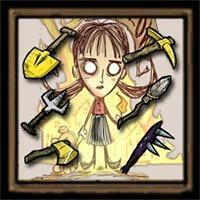 -Will Decrease the Player's Sanity when Standing Close to it. Crafting Recipe: 4 Gold Nuggets - 6 Boards - 2 Venom Glands (When Hammered will Drop: 2 Gold Nuggets - 3 Boards - 1 Venom Gland) Steam Workshop Version(Thanks to:InfamousJackson): http://steamcommunity.com/workshop/filedetails/?id=1322621018 Based on: Afro1967's Spider Cage Mod. Ever wanted to build your own wintery fortress? Now you can, with all natural ice walls! 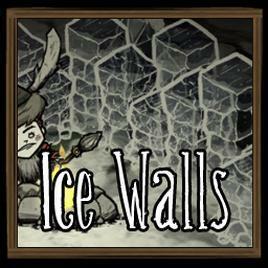 Features: - RoG and SW compatible - Recipe: 15 ice (6 walls), bia the science machine - 350 health - Custom strings for each character Potential Updates: - Don't Starve Together port - Fully custom artwork - Wall strength variations by season (stronger in winter, "melting" in summer) - Cross-mod compatibility (eg wallgates) If any more experienced modders would like to collaborate with me on implementing any of these features, please let me know. This mod has been abandoned for a long time but rezecib made an up-to-date version of it, combined with another mod. Displays health, hunger and sanity values at all times. It's also possible to monitor naughtiness (Krampus) and temperature. There's also a beaver meter for Woodie. RoG and SW compatible. 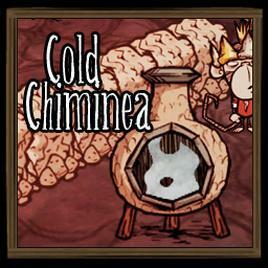 Mechanics Temperature and naughtiness are hidden automatically when inside the caves since it's always at 20°c and none of the creatures increase your naughtiness. These mechanics exist in the game and weren't created by me. This mod just monitors them. Naughtiness : The naughtiness threshold for spawning Krampus is set to a random number between 30 and 50 as soon as you kill an innocent creature. Killing certain creatures increases your naughtiness. Once the cap reached, naughtiness is reset to zero and the new threshold is automatically set to a random number between 30 and 50. And Krampus spawns of course. 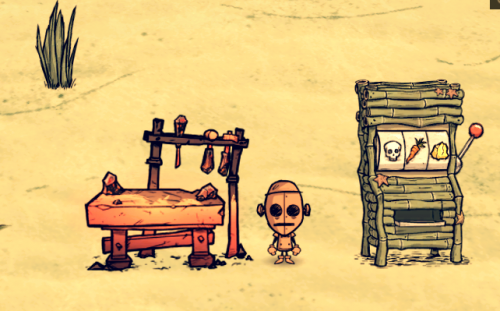 There's a chance to spawn 2 or 3 Krampii after day 50 and 3 or 4 Krampii after day 100. Temperature : Thresholds and limits are not the same whether you are playing RoG or vanilla DS. RoG introduced overheating, which occurs at 70°C (154°F). That's second degree burn territory. So I halved the displayed temperature (temp°C/2 then converted to °F) so that it feels more natural in RoG. See below for details. * Vanilla game : The temperature ranges from -20°C (-4°F) to 40°C (104°F). If it goes under 5°C (41°F) you'll start shivering and under 0°C (32°F) losing health. * RoG & SW : The temperature ranges from -10°C (14°F) to 45°C (113°F). Over 35°C (95°F), you'll overheat. If it goes under 3°C (38°F) you'll start shivering and under 0°C (32°F) losing health. So careful ! Compatibilities - Not compatible with RPG HUD Neat unless you deactivate the custom badges (for RPG HUD Neat, not Always on Status). How to install this mod It's better to disable the Steam Cloud feature for the game. Always backup your savegames, profile and saveindex before installing a new mod or you'll be very sour if something goes wrong. 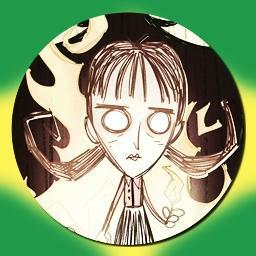 They are usually located in "..\Steam\userdata\<your steam ID>\219740\remote" or "My documents\Klei\DoNotStarve\save". Backup all the files found in those folders. Extract the folder located in the archive to "...\Steam\steamapps\common\dont_starve\mods" or the equivalent if you use the standalone version. Once in game, head to the mods tab and activate the mod (the Neat version requires a restart) then configure it.